My big news is that this week I have returned to learning. 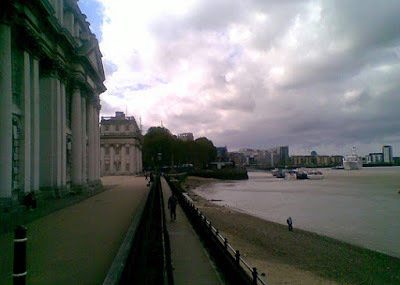 I have started a one-year MA course in English Literature, specialising in Literary London. I'm studying at the University of Greenwich and I took these photos there yesterday. 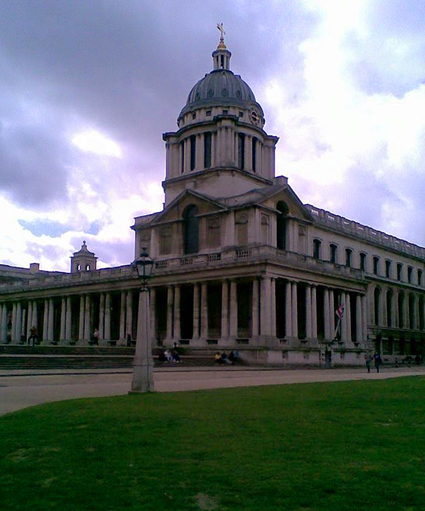 The main campus is pretty impressive - it is on the banks of the Thames in 17th-century buildings designed by Sir Christopher Wren. 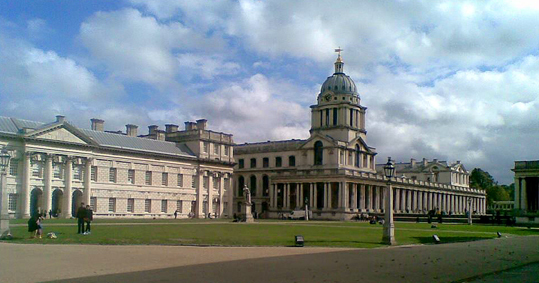 But it wasn't entirely the great setting that made me choose to do an MA at Greenwich. I'd been wanting to do an MA for years - decades even - but up until now things like money and family responsibilities had meant it wasn't practical to give up work. Earlier this year I realised it was now or never, so I started looking around at courses on offer. The one at Greenwich leapt out at me as being about things I am passionate about. The main focus is London and the literature inspired by the history and culture of the city. That includes a section on psychogeography, which I've been involved in for nearly a decade - ever since I read the book Psychogeography by Merlin Coverley. I've done a few psychogeography walks on my own and with others, I gave a talk on the subject at the PF London Conference in 2014 and reviewed quite a few books inspired by psychogeographical techniques (you can see links to some below). I'm pretty sure that's what I want to write my dissertation on too. I'm very much hoping I will be blogging as usual while I do my MA, but please excuse me if I skip the odd day as I am likely to be working hard to get all my assignments completed on time.